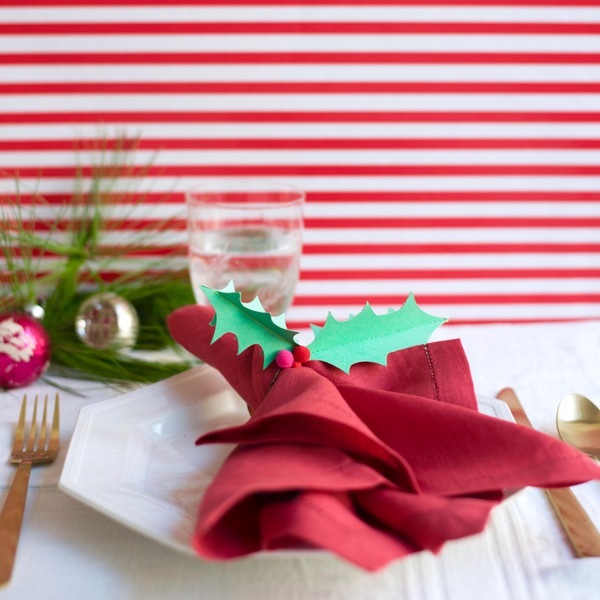 It’s time to deck the halls – and the tables – with boughs of holly! 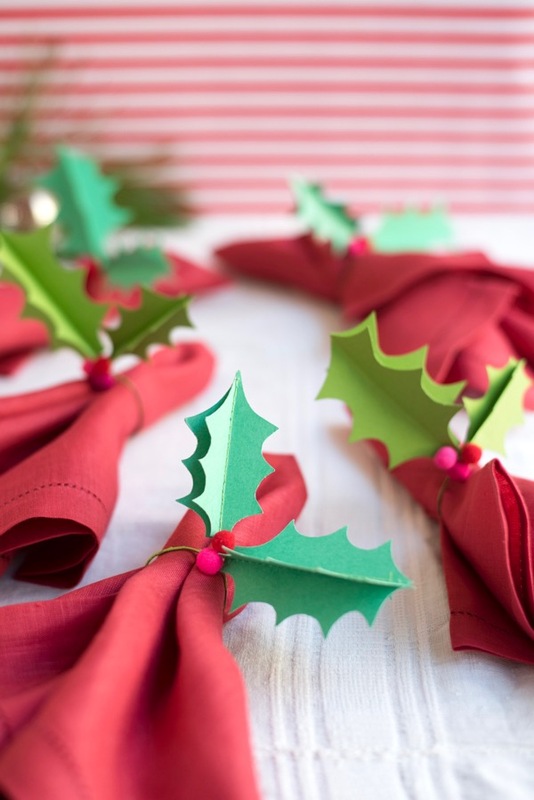 These holly napkin rings are sure to impress your grinchiest guest – they’re so festive and can be used year after year. You could also use these, without the wire loop, as a beautiful gift topper. 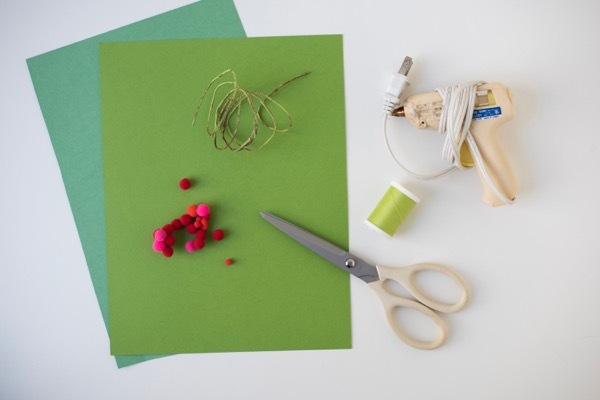 Materials needed: green card stock, scissors, floral wire, ½” or smaller pom poms in red and pink, hot glue gun, sewing machine, thread. 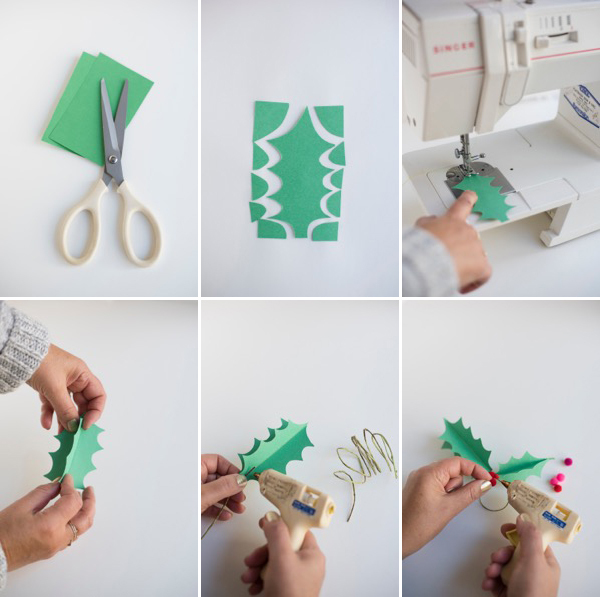 Step 2: Cut out holly shapes, following the below images. Don’t worry about being irregular or imperfect on the general shape. Step 3: Sew a straight line down the center of the holly shape. Step 4: Gently open the two pieces of paper – fold and crease to get them to stay open. Repeat with the other rectangle to make two holly leaves, one large and one small. Step 5: Using hot glue, attach a 6” piece of floral wire to the base of the holly leaves. 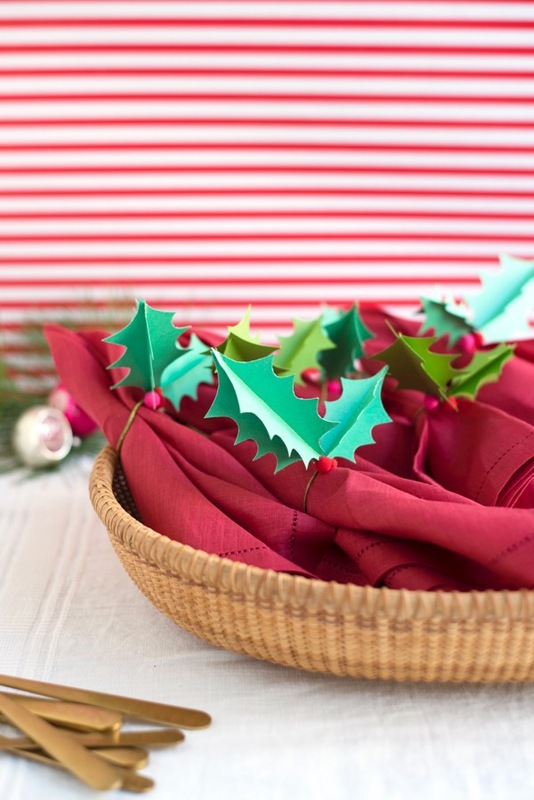 Step 6: Twist the holly leaves together to close, leaving a 1 ½” (approximately) circle for the napkin to go through. 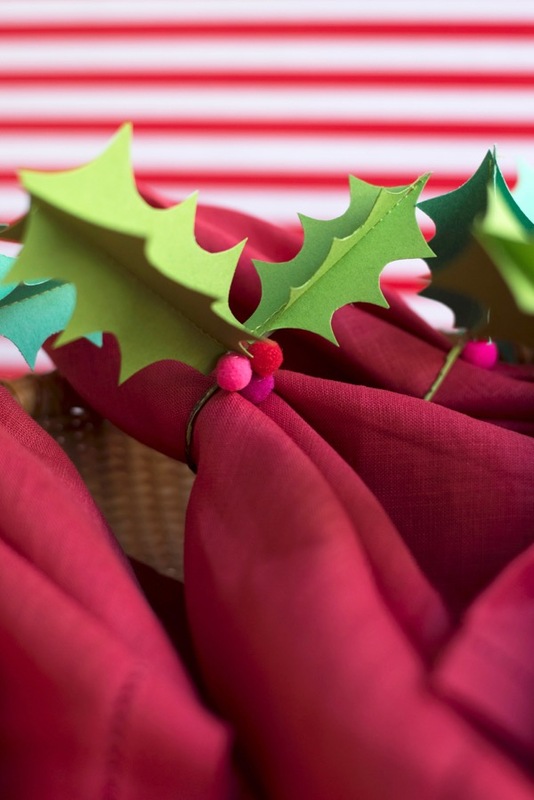 Attach two, three or four pom poms to where the holly leaf meets the wire using hot glue. Adjust the wire and the leaves as needed. 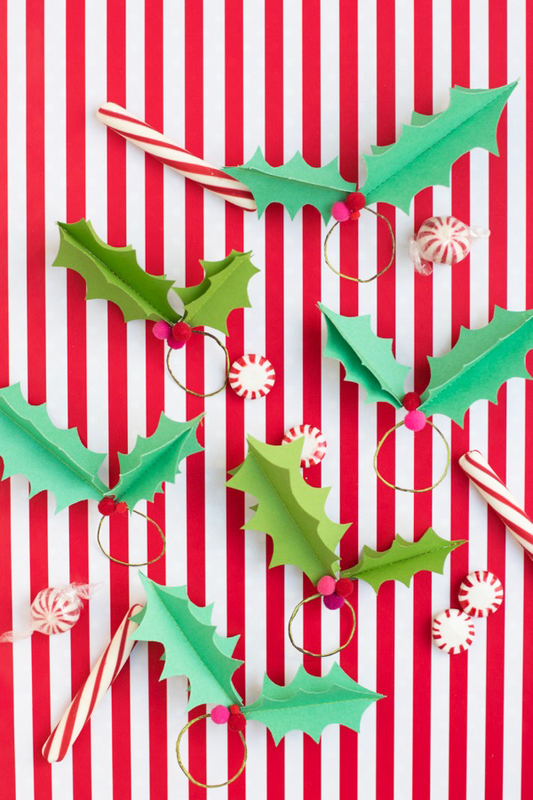 These look so fun and festive! I can’t wait to make them!